Happy Thursday! 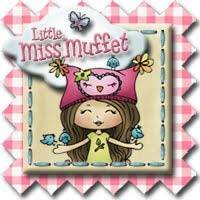 New images are being released over at Little Miss Muffet Stamps today and they are super cute! Go HERE to see the new images. 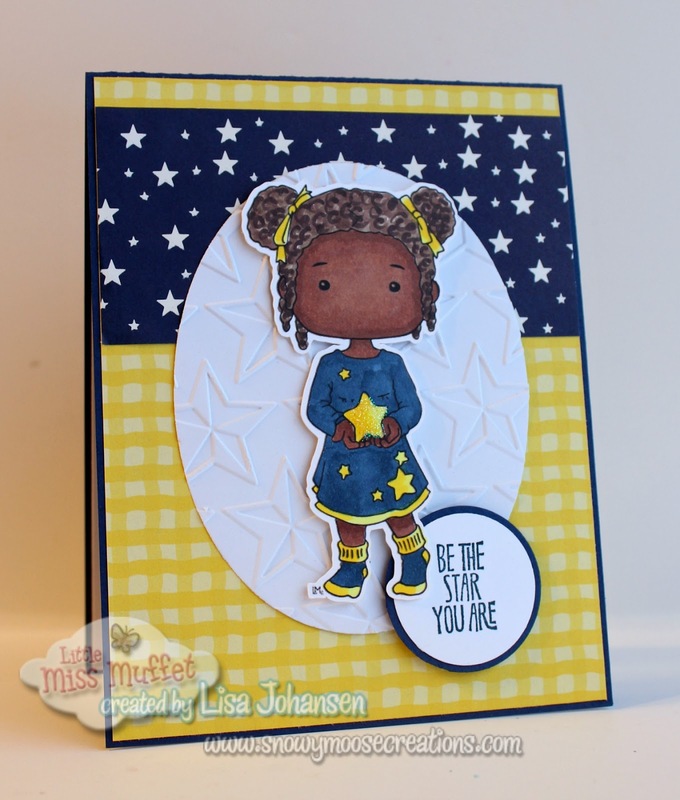 My card today showcases one of the new images, Polka Dot Pals Vega. How sweet is she? I just love the star in her hand and the stars on her dress. She is so versatile and can be used for any occasion! I decided to use her on an encouragement card and used 2 of my favorite colors on the card, blue and yellow. I also pushed myself to get out of my comfort zone and try something different with the skin and hair, so I made my Vega an African-American girl! Make sure you head on over to the LMMS store to check out all the great new images from today and the last few weeks and don't forget, the Anything Goes challenge is still open on the blog, so play along!